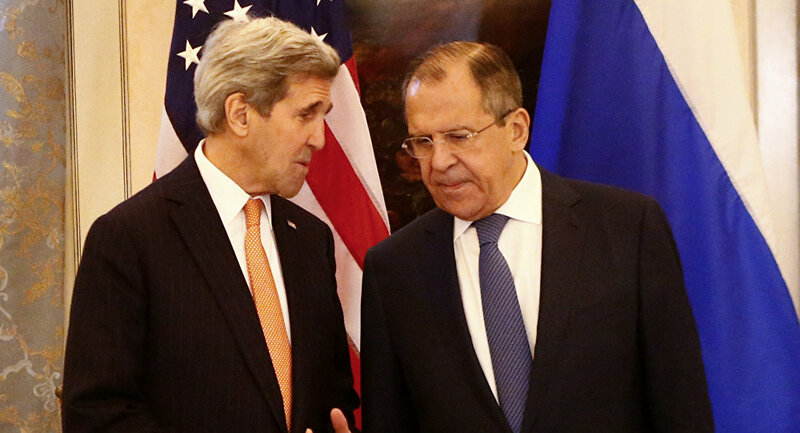 Russian Foreign Minister Sergey Lavrov arrived in Geneva on Thursday, where today, August 26 he will hold talks with US Secretary of State John Kerry. The main issue on the agenda of the meeting of the two states’ foreign policy chiefs will be the development of coordination in the fight against terrorism in Syria. The talks focus “will be on the Syrian settlement, including the prospects of establishing close coordination of actions in the fight against terrorist groups now active in Syria,” Russian Foreign Ministry spokeswoman Maria Zakharova said earlier. The Syrian range of issues will possibly include the theme of the humanitarian situation around Aleppo, Turkey’s operation in Jarablus and the recently published report of the Organization for the Prohibition of Chemical Weapons (OPCW) and the United Nations on the use of chemical weapons. Zakharova said that the officials might also consider other international issues, including the Ukrainian problems and topical issues on the bilateral agenda.